According to a report in the Phoenix New Times, 31-year-old Matthew Sterling told police he was targeting “bad police officers” because he was the real-life version of The Punisher, Marvel’s uncompromising vigilante. Sterling told police he was aware that real weapons were banned from the con, but said the rule didn’t apply to him because, as he previously claimed, he was the Punisher. Police said Sterling offered “numerous fantastical stories” to detectives, including saying he wanted to kill “Aphrodite officers,”—his term for bad police officers—if they tried to hurt or stop him. This is interesting, though not connected, when you consider the fact that the Punisher has been used as an inspirational figure and logo for Blue Lives Matter, a pro-police movement. 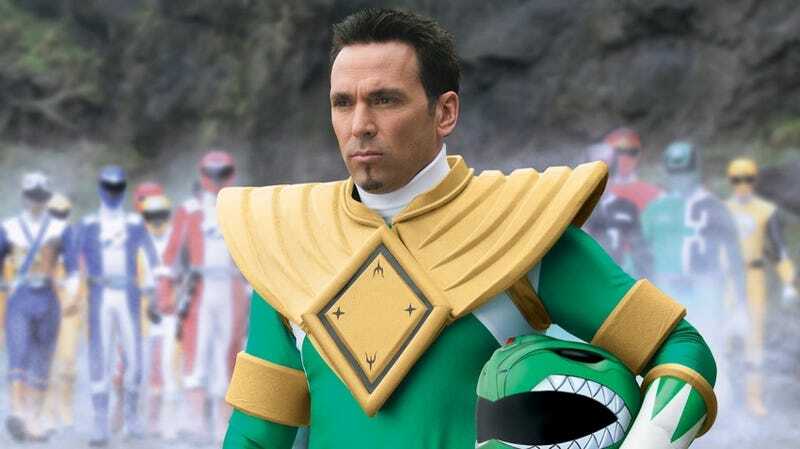 Sterling also claimed he had a vendetta against a celebrity who was making an appearance at Phoenix Comicon, which was later determined to be Mighty Morphin Power Rangers star Jason David Frank, who played the Green Ranger. Police found a message on Sterling’s calendar for May 25, the day of the attack, that said “Kill JDF.” Frank appeared at a press conference to thank the police for their hard work and request that attendees do not bring prop knives for him to sign (Phoenix Comicon banned all props from the event, including non-weapon ones, in response to the incident). He later went into further detail on Facebook Live, thanking fans for their support of both him and the convention. “You will start hearing stuff on social media. I’m fine. I’m okay. Love y’all. Even though it looks like things don’t faze me, I refuse to have a situation tear me apart mentally. You gotta remember, things could always be worse. Things could’ve been worse. But it wasn’t. You know, everyone is safe, things are okay, and it’s a great thing,” Frank said. Sterling was charged with attempted murder and booked on a $1-million bond. He’s set to appear in court early next month.